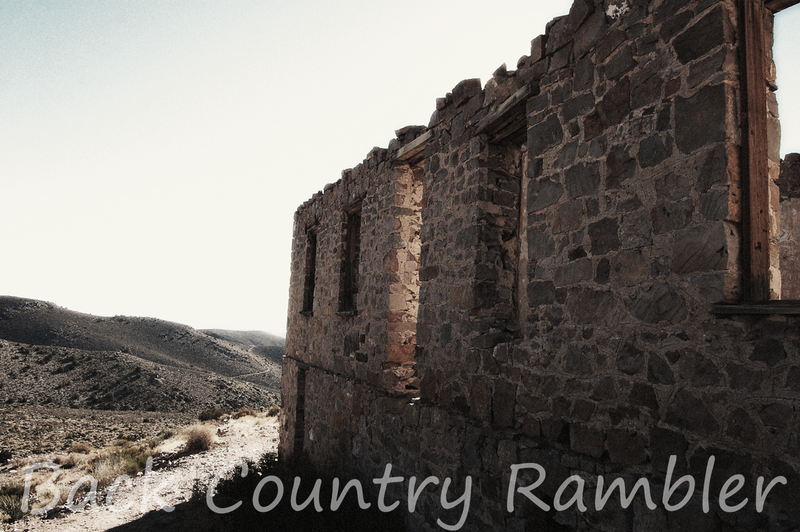 Delamar Nevada was once a booming mining town situated in the foot hills of the Delamar Mountains. Delamar is found in the Ferguson Mining District but is commonly referred to as the Delamar Mining District after its primary owner J.R. De Lamar. The Delamar mining camp became a hotbed for mining activity in the early 1890’s. In its heyday Delamar was reported to be home to a newspaper, post office, hospital, school, and two churches. If other mining camps throughout Nevada are any indication, there were probably too many saloons to count. 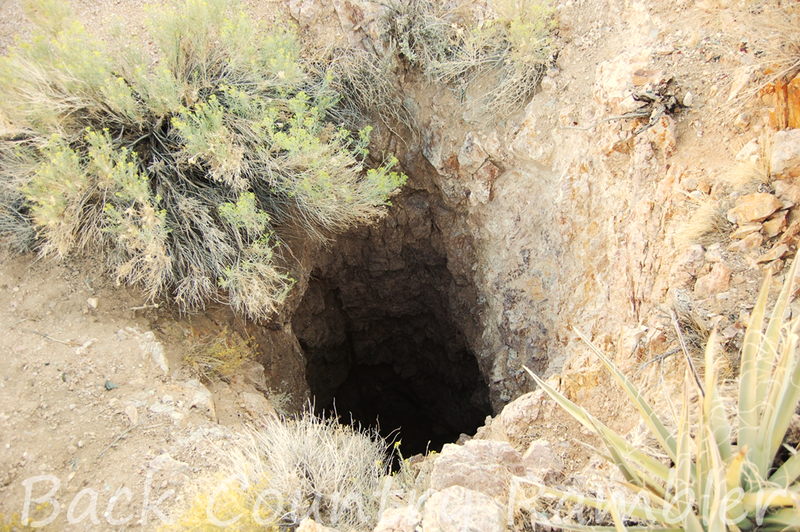 The tailings and a few dark openings shown on the face of the steep mountainside offer the only indication of the labyrinth of tunnels and shafts that chased the precious minerals deep into the Nevada mountains. 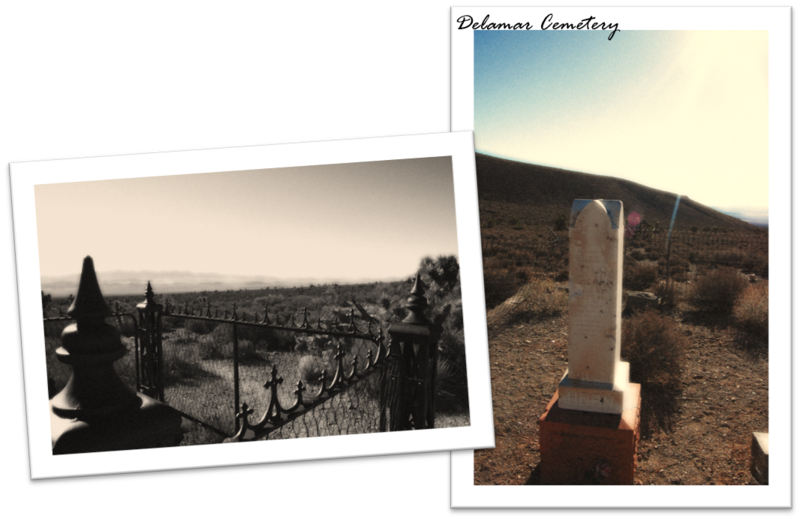 A lonely cemetery and the remnants of the rock foundations strewn about the mountain side are all that remains of the fading human landscape of Delamar Nevada, a once booming Nevada mining town. Delamar is situated in the low foothills of the Delamar Mountains, east of the Pahroc Range and Delamar Valley. Delamar sits at 5,900 ft. above sea level. Delamar can be found 30 miles south-west of Caliente, Nevada. The vegetation consists mainly of sagebrush and a few scattered cedar trees. The bonanza days of Delamar Nevada were between 1890 and 1902 but operated until 1909. This was a time when other mining districts in Nevada were declining. The Delamar Mining District produced more than half of the State’s ore during the mid-1890’s. During this time in Nevada, Delamar was out producing such mines as the Bullfrog and Manhattan. 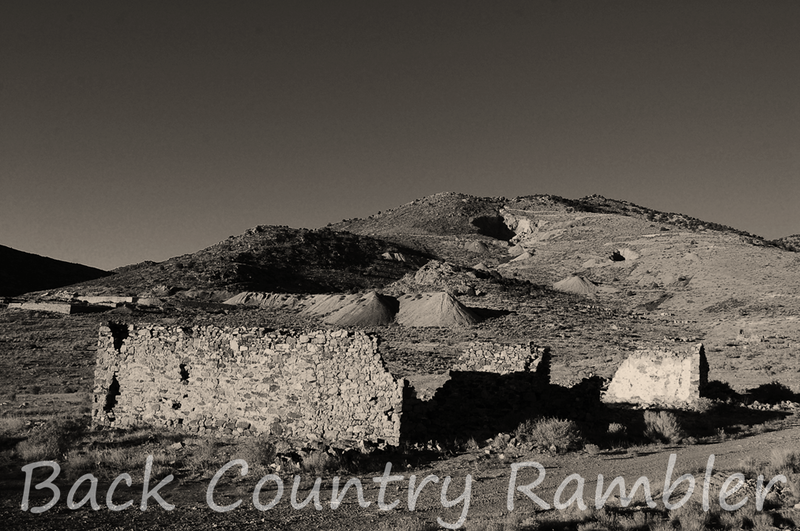 It was only surpassed by Goldfield and Tonopah. In 1894 the Delamar Mining District was the premier producer of Gold in Nevada. The Delamar Mining District represented yet another hope for the boom and bust economy that still plagues Nevada today. The Delamar Mining District was originally named the Ferguson Mining District. This was named after the original discovers of the claim John E. Ferguson and Alvin Ferguson. 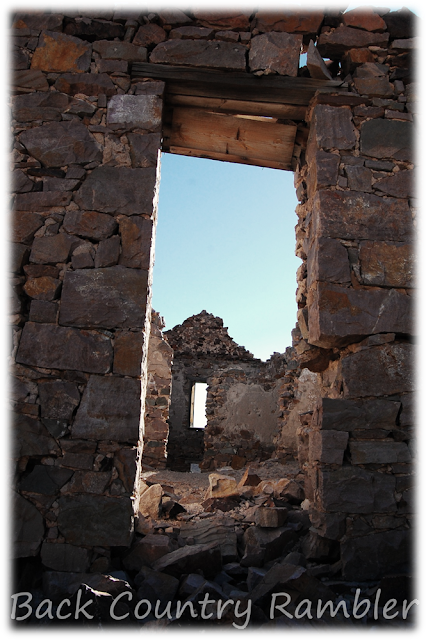 The Fergusons were farmers from the Pahranagat Valley. It didn’t take long for others to stake their claim. J. R. De Lamar, who was already heavily invested in the mining business throughout the west, came in and bought most of the claims in 1893 consolidating much of the sliced up mountain side. It was De Lamar who took this operation from a mining camp into a full-fledged mining operation. By 1894 the operation was in high gear at the mines in Delamar Nevada. As is often the case in the Southern Nevada desert, water was a scare resource but also a necessity for mining and related activities. However when there is a will there is a way and the prospect of gold creates a will. Two pipelines were constructed to get the much needed water to the Delamar mines. One came from the Meadow valley Wash, 12 miles away on the other side of the Delamar Mountain range. All the supplies in the early years, including the lumber, had to be hauled by mule team from the Milford Utah railroad depot. The ore also had to be shipped by mule team from Delamar to Milford. Between 1892 and 1902 the Delamar mines were reported to have produced $9,500,000 in gold and silver. In 1902 Capt. J.R. De Lamar sold his interest in the mines. In early 1906 the town was ravaged by fire and burned it down to the foundations. Some of the buildings that supported the current mining operations were rebuilt. The current operation, which had bought De Lamar’s interest, ran the mines until 1909. From 1902 to 1909 it was reported that the operation produced $3,400,000 in gold and silver. It was in 1909 when the Delamar mines played out with the last of the bonanza days of Delamar. The Delamar Mines sat idle from 1909 until 1932 when a group came in and retreated the old mill tailings. Between 1932 and 1940 it was reported that $781,500 in gold was recovered. It is estimated that there are 300 building sites at Delamar. These are marked by the stone foundations and the few remaining free standing walls. The prospect of the next big lode at Delamar brought many ambitious souls seeking to strike it rich. A few of them, along with their ambitions, are buried on the side of the lonely Delamar Mountains, quietly tucked away in the Nevada desert. The average miners like expectancy working at Delamar from the time he started at the mines was 8 months. This was due to the quartz rock mining techniques and a disease called Silicosis. On fair weather days you will most likely not need a four-wheel drive to access the Delamar mine site but I would suggest it. However you will need a high clearance vehicle for sure with good sturdy tires. If there has been a recent rain storm then the Delamar Valley can be a bit of a muddy bog and I would highly recommend four-wheel drive. The stretch of road from the cemetery to the main part of the Delamar mine operation is carved out of the side of the mountain. This road is not maintained and is rough and rocky traveling. This is where the high clearance will be a necessity and four low will come in handy. Be careful about mine shafts. Many have been closed, some have been fenced but there are still many that are just open holes into the ground. Keep your eyes open and use common sense; Stay out and stay alive. The Gold Butte Backcountry Byway offers a glimpse into Southern Nevada’s most beautiful and culturally rich desert landscapes. The Gold Butte Backcountry Byway is built from historic mining roads and cattle trails that wind its way through the hills and washes of the Gold Butte country. The visitor is presented with a vibrant panorama stitching together the historic sites and natural beauty that will entice any backcountry rambler. The evidence of the early settlers of this country can still be seen along the Gold Butte Backcountry byway. Petroglyphs, Spanish arista’s, cattle corrals, mines and the traces of old mining camps are just some of the features you will see along the way on the Gold Butte Backcountry byway. The Gold Butte Backcountry byway beings at the turn off to Gold Butte Road, turning off Riverside Road. You then travel 21 miles to Whitney Pockets. For more information about Whitney Pockets and driving directions read Backcountry Rambler Whitney Pockets. Leaving Whitney Pockets heading south, you will drive roughly 7.5 miles down a dirt road, which gets occasional maintenance (maybe once a year). After traveling down this road, you will see the turn off to Devils Throat on the right (west). 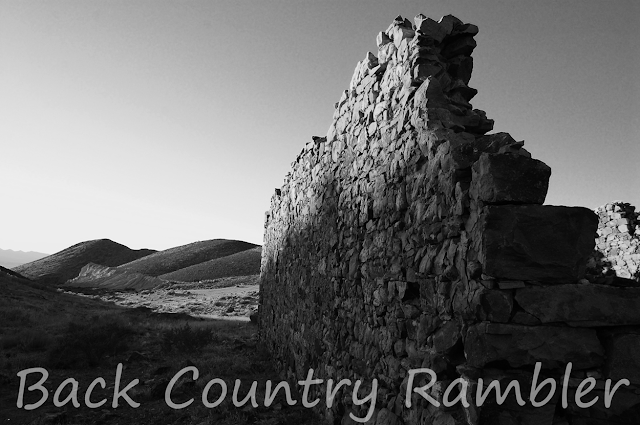 For more information about Devils Throat read Backcountry Rambler Devils Throat. Once you leave Devils Throat you will be traveling west down Mud Wash. 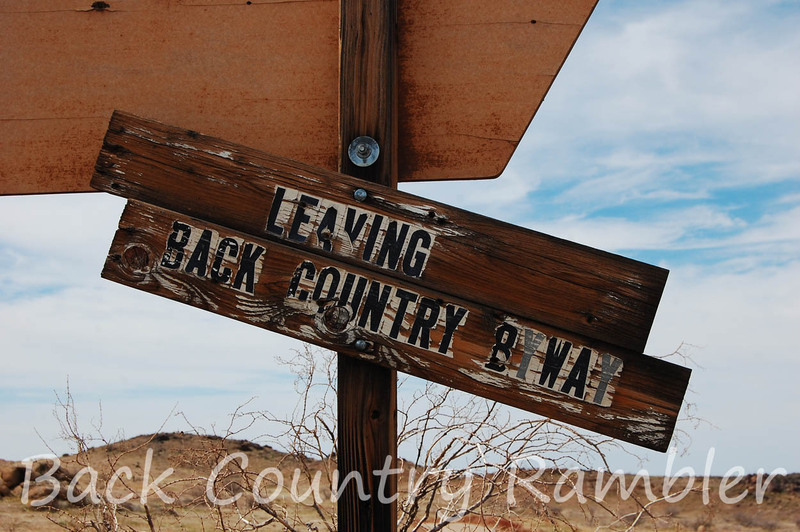 This piece of the backcountry byway sees no maintenance and is in a wash, so be aware for washouts and rocks. This is where the high clearance vehicle is a must. Heading west from Devils Throat down Mud Wash, continue traveling approximately 3.5 miles. Here you will reach the Mud Wash petroglyphs. They are found in the red sandstone cliffs, just after you come through the cut in Mud Wash. For more information about the Mud Wash Petroglyphs read Backcountry Rambler Mud Wash Petroglyphs. 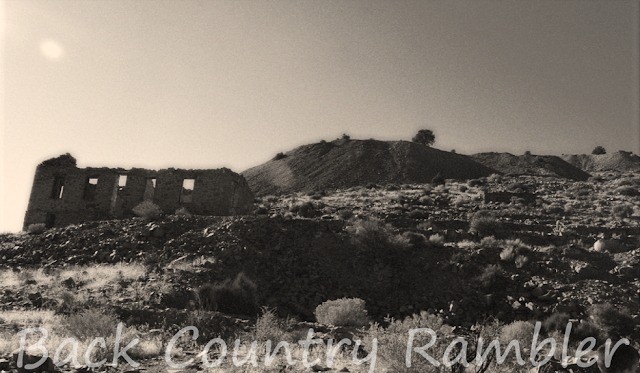 Continuing down Mud Wash, just past the petroglyphs you will see an old Cattle Corral. When my grandfather ran cows on the Gold Butte allotment this was one of the gathering points in the spring and fall. Currently the road to Red Rock Springs or the Palm Trees is closed by the BLM so you cannot drive to it. This area is also referred to as Lone Palm, Devils Fire, Little Finland or just a part of Red Bluff Springs. If you are going to visit this area the easiest way now, is to park near the corral and hike north, to visit the palm trees and sandstone formations. It is about a mile from the corral all the way to the end of the ridge where the palm trees grown from the seeps. After passing the corral it is about another 2 miles down to the end of Mud Wash. This is not really the end of the wash or road but it is where the byway turn. Back in the mining days this was the main road for the wagons transporting ore from Grand Gulch, Savanic and other mines to St. Thomas to load on the train. As you pull up out of Mud Wash and start heading west you will see another set of red sandstone hills. Hidden within the slot canyons of these red hills are the writing or petroglyphs of the areas earliest inhabitants. This area is known as KeyholeCanyon. 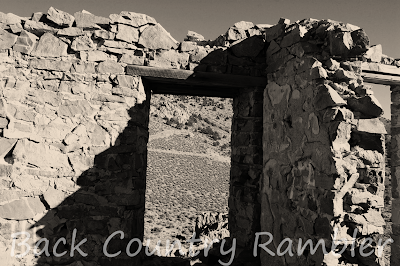 For more information about Keyhole Canyon read Backcountry Rambler Keyhole Canyon. As you continue west up Gold Butte wash you will find yourself encased between Lime Ridge and Tramp Ridge. Within Tramp Ridge are the remnants of a once active mining district. The Tramp Mine, Lincoln Mine and the Black Jack Mine are the three main mines that operated on the Tramp Ridge. Access to most of these historic mines, an American icon left as a legacy of the tenacity of our pioneer ancestors, is limited. However they still stand as a reminder of those early pioneers who helped settle this country. The Gold Butte Mining District is the name sake for which the Gold Butte backcountry Byway is named. The cultural and historic significance that mining played in this country is still undervalued if not lost in today’s bureaucracy. As you continue traveling down the Gold Butte backcountry Byway you will most likely see quite a bit of wildlife including quail, rabbits, coyotes, and other small bird and game. This is sustained impart to the guzzlers and small springs that are scattered within the Gold Butte backcountry. Hunting and other outdoor recreational opportunities are abundant in Gold Butte. After traveling between the Lime and Tramp Ridges, you will pull out of the canyon and arrive at the historic town site of Gold Butte. When Grandpa was running cattle through this country it was known as headquarters. This is the heart of the Gold Butte backcountry. There is not much left that is tangible of the old Gold Butte town site. There are a few foundations scattered about, some rusting equipment and mine shafts strewn about the hills. There is also some corrals, water troughs and an old landing strip that still remain as a reminder of the activities that embodied the American west. From the Gold Butte town site back to Devils Throat it is about 13 miles. The complete loop starting at Devils Throat and connecting back into Devils Throat is 32 miles. The full loop starting at Whitney Pockets and ending back at Whitney Pockets is just under 50 miles on a rough desert road. Don’t embark upon this trip unprepared or faint of heart. However it’s worth the time and effort to see this beautiful desert landscape. If you are going to take on this backcountry rambling a high clearance vehicle is a must. Once you leave Devils Throat there is no maintenance on the roads. Sections can be washed out and large rocks will have to be navigated around or over. Four-wheel drive is highly recommended. The section that goes down Mud Wash has some sandy sections where a four-wheel drive will come in handy. If by chance you find yourself traveling this road during a cloudburst the water will come quick and fast and the four-wheel drive will be a necessity. When out in the desert and backcountry it’s better to be over prepared than under prepared. Count on no cell service while visiting this backcountry. Four-wheelers or ATV’s are a great way to travel this country, just be responsible and stay on designated trails. It only takes a few to ruin it for the rest. Due to the remote nature of this area and the sheer number of site and natural beauty packed within this area, I recommend camping at least one night. All of the Gold Butte Backcountry Byway is within BLM administered lands. The two best spots to camp are going to be at Whitney Pockets or at the Gold Butte town site. These both serve as great basecamps to explore the Gold Butte country. I suggest if the town site is as far as you are going to venture into Gold Butte and you are staying mainly on the Gold Butte Back Country Byway then Whitney Pockets is going to be your best spot. Also the road down to the town site of Gold Butte can be rough when towing a trailer. However if you are going to explore south of the Gold Butte town site down into the Scanlon Dug way and Colorado River area or down to Lake Mead and Hells Kitchen then camping at the Gold Butte town site is a great basecamp. 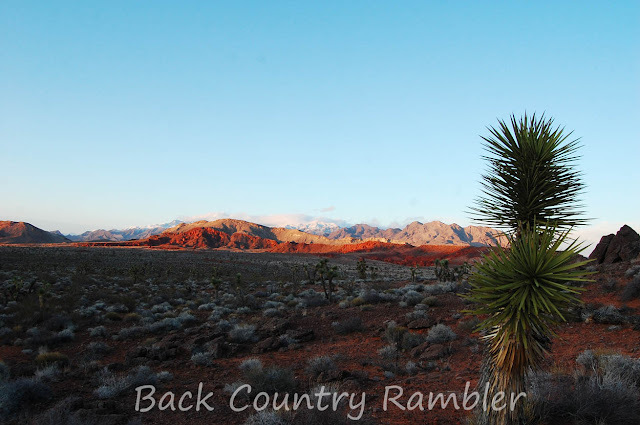 For the well prepared Backcountry Rambler the Gold Butte Backcountry Byway will be one of those trips that you will want to do time and time again. This covers a lot of country that is packed full of history and spectacular geologic formations. Enjoy yourself, be safe and respect our public lands by staying on designated roads and trails. This is not an official map. 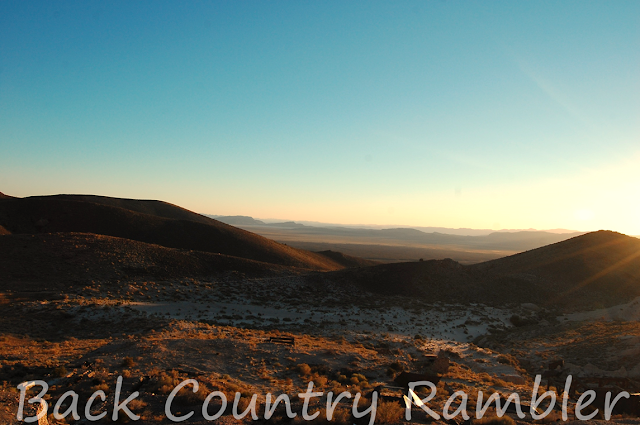 It is provided for general reference only to help you get acquainted with this back country.